Projects within the Oil & Gas sector face many prominent issues at the moment and the challenge of delivering large projects in the industry has become more and more difficult. The challenges are increasingly complex, delivering innovative and technological solutions, in an environment where schedules are compressed, budgets consistently looking for cost efficiencies, where safety is crucial and every project faces a network of stakeholders concerned about its impact on the environment and communities. This exciting and highly interactive 5-day GLOMACS Delivering Successful Projects within the Oil & Gas Industry training seminar provides participants with the key skills required to plan, execute, control and successfully deliver projects in the most challenging of environments. In order to assist delegates to achieve this, we make good use of industry best practice project management tools backed-up with practical instruction. This GLOMACS Project Management training seminar will also help the delegates to identify and develop solutions that will stand them in good stead in the future and to help improve the effectiveness of their project-delivery. Participants will receive a thorough training with the instructor utilising a variety of proven adult learning teaching and facilitation techniques. 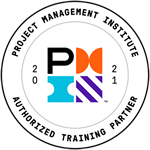 Training methodology includes an insight into industry best practice project management delivery tools and processes. This GLOMACS Project Management training seminar uses an applicable case study, and includes group discussion and critical analysis of actual projects. Prior knowledge of the fundamentals of projects is assumed, but will be covered briefly to ensure general understanding. New concepts and tools are introduced to enable delegates to progress from fundamental to more advanced project concepts. In the current economic climate with challenges in the Oil and Gas Industry, the need to deliver projects successfully is immense. Recognising the practices that can be put into place to assist this will benefit any project management organisation deliver better ROI through positive results. Delegates who attend this GLOMACS Delivering Successful Projects within the Oil & Gas Industry training seminar will receive competence based training, providing the basis for activities that can be delivered on their return to the workplace. The ability to manage project activities is a core skill for anyone involved in delivering a project in such a complex environment. When carried out properly projects can be more predictable, value delivery is enhanced and client satisfaction is increased. Developing personal competencies will enhance the way projects are planned, designed and organised. Delegates will be able to enhance their credibility within their organisation by competently coordinating relevant processes which will benefit their project delivery and ultimately their career.